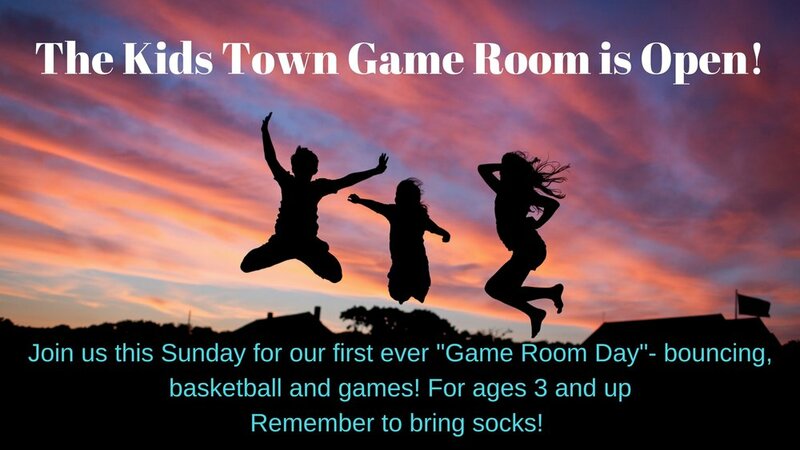 Kids Town Game Room Opening Day! If you have a kids between the ages of 3 and 11, they won't want to miss this coming Sunday, April 15th! The game room will officially be open, and it's going to be a ton of fun!